Today we were made to attend alternative classes instead of our regular school day schedule. I got in a class where in you have to make a new notebook from old unused pages of used spiral notebooks which would later be given to a kid in need. (Got a little confused there). Mine came out pretty okay so I wanted to share with you guys how to make one yourself. So put on some awesome music and get your crafting hands ready because it’s gonna be a bumpy riiiiiide haha. 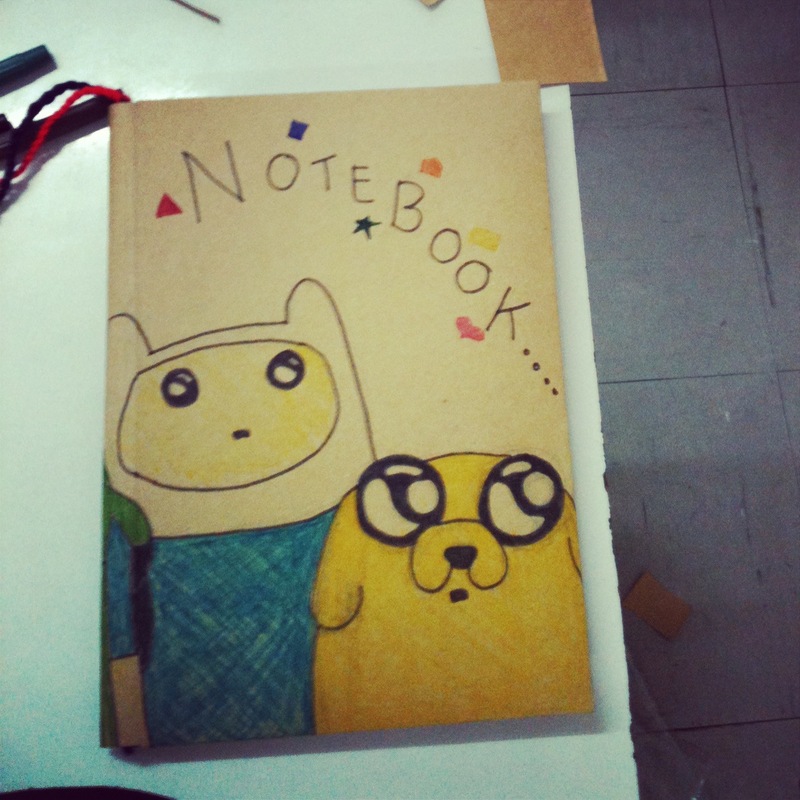 Card board cartolina (optional) Or you can opt for something else you want to cover the notebook with. Gather all your notebooks and start by either taping the used pages of the notebooks together so it’s easier to sort out once you removed the spring. To remove the spring simply roll it in one direction until it’s completely detached from the notebook. Once done gather all the unused pages. Straighten about 3 to 4 inches of the spring and snip it off leaving you with what looks like a toothpick. Grab one end of the yarn and tape it to one of the straightened spring’s end leaving you with what looks like an enlarged version of a thread and needle. Amazeballs. 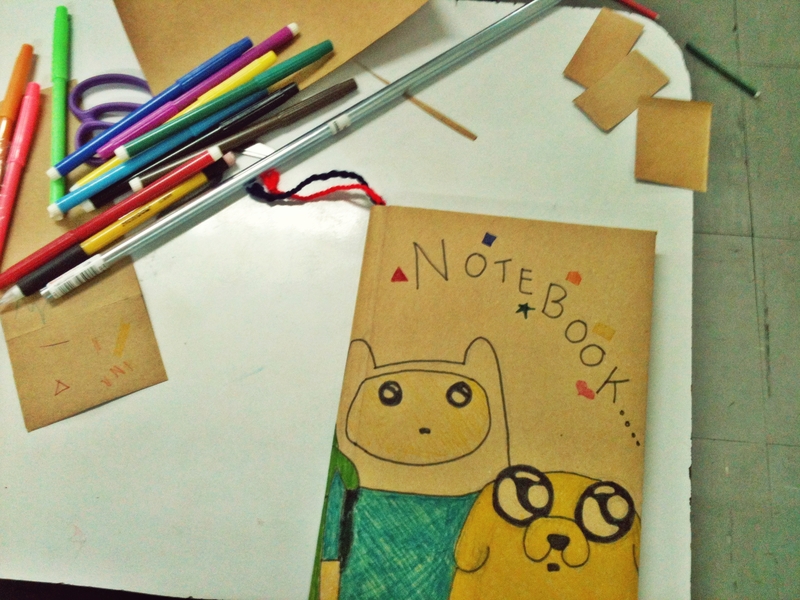 Now start inserting the yarn on the first hole at the top of the notebook and make your way down. (Assuming everyone knows how a basic stitch goes). Once you reach the bottom loop the yarn below the notebook and make your way up this time with the ends meeting at where you first started. Knot the two ends together securing the yarn in place. You can add your own design to the tie at the end. I put little spiral braids on mine teehee. PS: Make sure you have enough yarn before you cut it you don’t want that yarn not reaching the end trust me it’s frustrating. 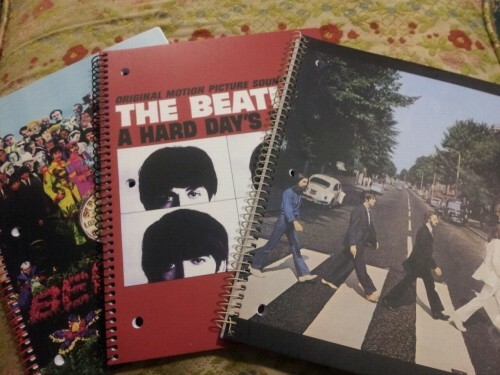 With your choice of wrapping material, start covering the entire notebook as if you were using clear plastic to cover it. After that you pretty much have the base for whatever your design is going to be. Get creative and remember to just have fun with it! Here’s how mine came out. I wrapped it with plastic after though because we were going to give this away to kids and kids tend to get messy with their stuff so better it be protected. Haha. Thanks and I hope you enjoyed this short DIY! Over and Out.